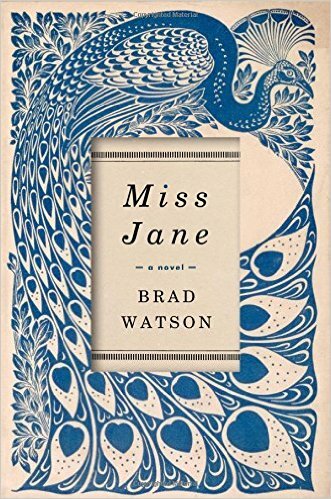 Astonishing prose brings to life a forgotten woman and a lost world in a strange and bittersweet Southern pastoral. I was pleasantly surprised by this book. It was not what I was expecting at all. In fact, I even had my doubts, as I often do when a man writes from a woman's point of view. But Brad Watson surprised me on all accounts. This novel worked on so many levels. Based on the life of one of his distant relatives, he was able to write a tale so vivid, so emotional, so heart-wrenching, that at times it left me stunned. The main character is Jane Chisholm who is born with a defect. The author teases the reader by revealing tidbits of information pertaining to this rare defect little by little throughout the story. This kept me flipping pages because I needed to understand what this deformity was. The secondary characters who must deal with Jane have varying reactions to her - protectiveness, fear, love, and even abhorrance. Above all, it was Jane's innocence, her abiding inner strength, and genuine heart that fascinates and makes this book rise over others. And all this is set in rural and poor Mississippi in the early 1900's where life was never easy. This totally engrossing novel will keep book clubs talking for hours and hours because of its complexity, likeability, and the birth defect. Beautiful and poignant. I loved it.